Thursday, Dec. 6th, 7:00-9:00 p.m. – The Clyde River Baptist Church will host a Community Christmas Party at the Riverview Community Center. There will be carol singing, a few games, a light snack and a visit from Santa. Come visit with your friends and neighbours. There will be no gift exchange this year. Storm date is Friday, Dec. 7th. 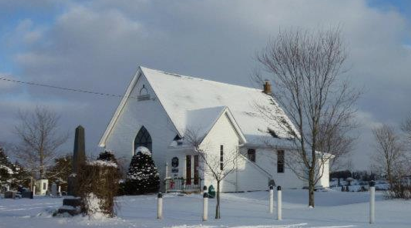 Sunday, Dec. 16th, 7:00 p.m. – Special service at the Clyde River Baptist Church, “The Carols We Love,” a night of song and fellowship. Cookies and cider will be served afterwards. Monday, Dec. 24th, 6:30 p.m. – Christmas Eve by Candlelight Service at the Clyde River Baptist Church.